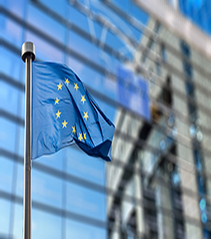 ECB tone: the European Central Bank council removed the easing bias on the Asset Purchase Programme, but President Draghi was dovish in commenting the change. Economy and risks: confidence in domestic economy is growing with some downward risks (also increasing) coming from the global economy (this time from the West, not the East), explicitly mentioning the need to monitor FX and financial conditions and developments. On protectionism, it is not the direct impact that is worrying, but the “second round effects” of possible retaliations, on the exchange rate and, particularly, on confidence. Market implications: a gradual and well explained phasing out should avoid a rapid repricing in fixed income. Nevertheless, the closer we get to the end of quantitative easing (QE) and to the normalization in ECB depo/refi rates, the higher the probability of a repricing is. Markets usually underestimate the final Central Bank rate level. Investment strategy: at the global level, a new and more volatile phase is opening up, due to different speeds in Central Banks’ recalibration policies. To deal with this new phase, investors should adopt diversified strategies: Not only duration (short) and credit (long but with a more cautious approach), but also currencies (USD, EUR and tactically EM FX). This will be, in our view, an important source of performance in this complex phase. The ECB is carefully preparing the markets for an exit strategy as confidence in domestic economy is growing. What are your views on ECB policy going forward? Andrea Brasili: The ECB council behaved pretty much in line with the previous meeting (including what emerged from the minutes as a sort of post-dated message). The council removed the easing bias on the Asset Purchase Programme (i.e. the reference to the possibility of upscaling the APP if necessary), but President Draghi was dovish in commenting the change, saying that this was a sort of backward looking measure, acknowledging the decline in inflation variance. Then, it is interesting to note the reiteration of a growing confidence on the domestic economy, with some downward risks (also increasing) coming from the global economy (this time from the West, not the East), explicitly mentioning the need to monitor FX and financial conditions and developments. There was a marginal upward revision of growth forecasts, while there was a (marginal) downward revision of inflation forecasts that, however, does not change the general picture. We think that the ECB will maintain this approach of sending small progressive messages, hence in the minutes (due on April, 12), we will become aware of what the discussion at the next meeting (on April, 26) will focus on. The closer we get to the end of quantitative easing and to the normalization in ECB depo/refi rates, the higher the probability of a repricing in fixed income is. What could be the consequences for Europe of an increasing protectionist stance of the US? Would a trade war influence the future ECB action? Andrea Brasili: President Draghi was again quite tough rising a rethoric question: ‘if you do that to your allies, who are your enemies?’ Once again Draghi used quite clear words on the issue of trade wars and protectionism and in general on the current attitude of the US administration: first, these issues should be discussed in multilateral appropriate settings (and cannot be unilateral decisions). Second, it is not the direct impact that is worrying; the real problems are the “second round effects”: on possible retailations, on the exchange rates and, particularly, on confidence. Then Draghi warned (in a sort of pre-emptive move) that there is also a latent risk of the US administration to embark in a massive deregulation in financial markets. Hence, Draghi clearly rings an alarm bell on these issues, even though the influence on the decisions of the ECB runs through the impact on growth, as mentioned above. Three strategies to deal with the current scenario: careful exposure to duration, selective allocation to credit to exploit carry opportunities, and inflation linked bonds. The Euro seems to have found in 1.25 vs the USD a limit to the upside. What is your expectation of the Euro vs the USD and why? Silvia Di Silvio: In our view, the Euro is set to remain supported vs major currencies. 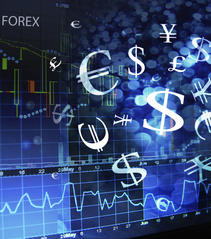 The currency has still in its favour a couple of relevant factors that represent a tailwind. First of all, the expected continuation of the current positive momentum on Eurozone’s growth is still attracting inflows from foreign investors and the economic cycle has actually potential to surprise to the upside (as also acknowledged by Mario Draghi in today’s ECB statement “strong and broad-based growth momentum in the euro area economy, which is projected to expand in the near term at a somewhat faster pace than previously expected”). A second important factor is the removal of monetary policy accommodation by the ECB (we foresee QE net purchases to come to an end by 2018), which would support a further increase in German yields and boost the attractiveness of the currency on a carry basis. Additionally, the valuation backdrop of the currency remains favourable as the Euro is still undervalued on a trade weighted basis, although to a much lesser extent than last year. A new and more volatile phase in global fixed income is opening up due to different speeds in Central Banks’ recalibration policies. Do you see the risk of the ECB increasingly behind the curve? Do you see the risk of a further rapid repricing in fixed income like the one seen at the beginning of the year? Eric Brard/ Marie-Anne Allier: We do not see the ECB being increasingly behind the curve as core inflation remains subdued. Wage inflation is starting to materialize in some countries but it needs to be more widespread and more persistent before translating into final price pressures. Commodity prices are levelling off, pleading for headline inflation being driven mostly by core inflation. If you judge the ECB action according to its main guidelines (inflation), definitely the Central Bank has time to remove its unconventional policy. A gradual and well explained phasing out should avoid a rapid repricing in fixed income. One can count on Mario Draghi’s exceptional communication skills to manage a soft phasing out. Nevertheless, the closer we get to the end of QE and to the normalization in ECB depo/refi rates, the higher the probability of a repricing. Keep in mind that markets usually underestimate the final CB rate level. What investment strategy could be appropriate in this market phase? Eric Brard/Cosimo Marasciulo: First, implementing appropriate interest rate strategy will be key, in our view, to extract performance in the current environment characterized by existing compressed credit premium. Portfolio managers need to stay focused on three main features: 1) a rising rates trend implies an underweight in modified duration1 combined with a gradual flattening stance of the yield curve; 2) short duration and curve flattening strategies are costly in terms of carry2, so it is important to keep flexibility within the range of fixed income tools. This implicitly validates a significant allocation to corporate bonds even if the spread compression theme may be close to an end; carry can still be protective! We see value in financial hybrids3 bonds providing the highest spreads with quality rated issuers. 3) Investing in inflation linked bonds could also add alpha4 as the asset class is still undervalued. Investors should adopt diversified strategies: Not only duration (short) and credit (long but with a more cautious approach), but also currencies will be, in our view, an important source of performance. From a global fixed income perspective, where do you see main risks and opportunities going forward? Eric Brard/ Laurent Crosnier: The main theme in 2018 is the global normalization of monetary policies in a context of synchronized growth and moderately rising inflation. While the ECB and the Bank of Japan are still at the early stages, the Fed will have to convince the market that it is not behind the curve, at the risk of breaking the momentum. Indeed, we are in a very unusual situation with a US fiscal expansion at a late stage of the cycle (labor market already extremely tight). As a direct impact, both short term rate hike expectations and long term risk premium have been revised higher on the US curve. Spreads of US yields vs other core markets have also reached extreme highs. However, since early January, markets have shown new behaviors worth noting, especially breaking correlations5 between rates and other asset classes (equities, forex…). Higher volatility should remain the norm for the rest of the year. One of the main risks identified would be a sharper acceleration in inflation, pushing Central Banks to react strongly and triggering an overall change of investors’ stance with the same vigor. In this context, staying short duration based on fundamental, valuation (in Europe) and technical reasons (higher issuance volumes), as well as portfolio construction (hedging risky assets), seems appropriate to protect the capital of portfolios. We are still constructive in credit on fundamental grounds, advocating a more cautious approach onwards. A positive bias on emerging debt (better risk/return ratio), should be supported by positive inflows. 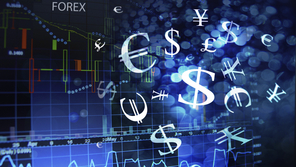 In the Forex space, we could observe an upward correction of the USD. We still stand more bullish, over the long term, on the EUR with an eye on ECB and the QE exit pace. As risk sentiment stabilizes and with the BOJ still the most dovish Central Bank, we continue to expect the JPY to weaken. Emerging market FX should also continue to benefit from positive fundamentals, with exposure which needs to be managed more tactically during the coming months. 1. Duration: duration is a measure of the sensitivity of the price (the value of principal) of a fixed income investment to a change in interest rates, expressed as a number of years. 2. Carry trade: a trading strategy that involves borrowing at a low interest rate and investing in an asset that provides a higher rate of return. 3. A hybrid security is an asset that has features of two different financial instruments, like a bond that can be converted into shares of a company. 4. Alpha: alpha measures risk-adjusted performance, representing excess return relative to the return of the benchmark. A positive alpha suggests risk-adjusted value added by the manager versus the index. 5. Correlation: the degree to which assets or asset class prices have moved in relation to one another. Correlation ranges from -1 (always moving in opposite directions) through 0 (absolutely independent) to 1 (always move together). "We still believe that the euro is going to appreciate versus the USD in the twelve coming months but this process is probably going to take a bit more time than expected." We are happy to share our fixed income portfolio management teams’ views and convictions for 2016. These are the result of the internal discussions we have had over the past few weeks aiming at drawing a perspective for the next few months. 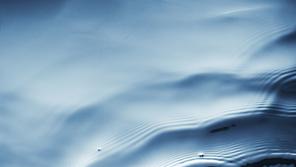 Deteriorating liquidity conditions: challenges and opportunities for investors.